1. Vietnamese authorities have enhanced and expanded means of targetting human rights defenders (HRDs) in Vietnam and restricting civil society space since the country’s last UPR in 2014. 2. Following that review, the Vietnamese government received three recommendations on the subject of HRDs.1 Vietnam accepted recommendations from Luxembourg and Tunisia to protect and guarantee respect for freedom of information and expression of HRDs and to ensure a favourable environment for their activities. (Vietnam rejected the Czech Republic’s recommendation to release all HRDs detained for peaceful expression of their opinions). Despite these assurances, Front Line Defenders has observed new and continued violations of human rights on a vast scale in Vietnam, especially in relation to HRDs. 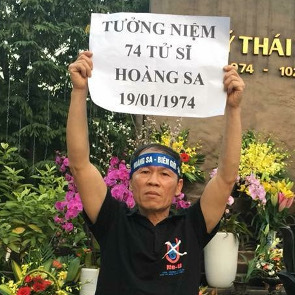 Defenders are regularly attacked for peaceful expression of opinion, and the sphere of human rights protection work has grown steadily more dangerous in Vietnam since 2014. 3. Vietnamese authorities have sharply contracted the working space for HRDs, obstructing their work, perpetrating physical attacks against defenders, breaking up peaceful trainings and other public events, and subjecting defenders and their families to surveillance, harassment, intimidation, public defamation, house arrest, travel ban, arbitrary and incommunicado detention, arrest, inhumane treatment, torture, and violation of their rights to work, expression, association, and assembly. In some cases, Vietnamese authorities have also targeted entire organizations with judicial crackdown. 4. 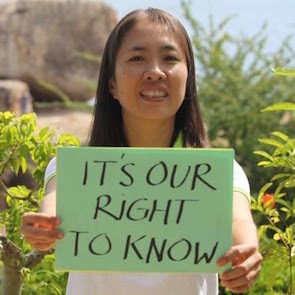 During the period under review, the most problematic persecution of HRDs in Vietnam has taken the form of infringements upon their right to free assembly and association. Vietnam is a State party to the International Covenant on Civil and Political Rights (ICCPR), which guarantees these rights; moreover, Vietnam has enshrined rights to association and assembly in Article 25 of the 1959 Vietnam Constitution.2 Nevertheless, HRDs have been detained, arrested, harassed, and assaulted in the course of meeting with fellow defenders and other stakeholders in human rights advocacy. 5. HRDs peacefully participating in legal protest activities have been subject to severe attacks. Vietnamese authorities released a national arrest warrant for environmental rights defender Bach Hong Quyen, after he organized a march to commemorate the one-year anniversary of the Formosa Ha Tinh Steel disaster.3Nguyen Thuy Hanh, an advocate for Vietnamese political prisoners, was arrested at a protest event in Hanoi without warrant or explanation, interrogated, and held in detention for over ten hours. 6. HRDs have also faced reprisals for meetings among themselves, in the absence of any political or protest demonstration. 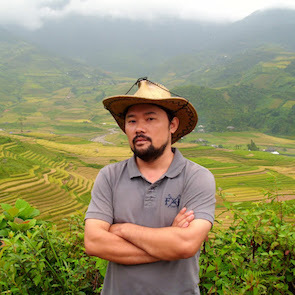 In June 2015, human rights blogger Pham Thanh Nghien was planning to host a meeting of the Vietnam Bloggers Network to discuss advocacy for an upcoming human rights campaign. Local police prevented the visiting Network members from entering Pham Than Nghien’s home. When the defender left her house to speak to police, they struck the defender in the face and knocked her to the ground, after which they separated her from other Network members and continued to beat her. In August 2015, to commemorate human rights journalist Tran Minh Nhat’s release from prison, a group of HRDs traveled to Lam Dong Province to visit the journalist. 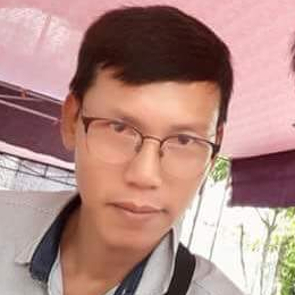 Police stormed the bus carrying the HRDs and assaulted several of them, including campaigner and torture whistleblower Truong Minh Tam, who was dragged off the bus and beaten. In June 2017, human rights blogger and campaigner Nguyen Dang Vu was visiting local activists in Dak Lak Province when he was arrested by plainclothes police and held in detention for over 30 hours. During his arbitrary detention, the defender was beaten, denied food, and deprived of his cell phone and other belongings. 7. 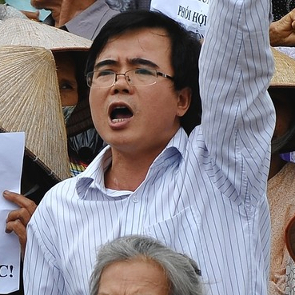 Vietnamese authorities take particularly aggressive action against HRDs assembling in solidarity. Groups of HRDs gathering outside courthouses during trials of other defenders are subject to mass-arrest, arbitrary detention, and police violence. Similarly, defenders who travel to police stations and detention centres seeking information about detained colleagues are also at high risk. 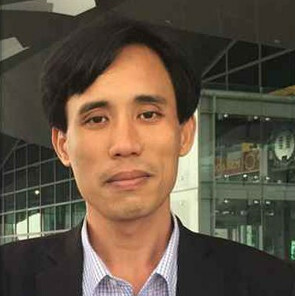 Truong Van Dung, a prisoner rights advocate, traveled to a Hanoi police station to seek information about the whereabouts of a fellow defender in March 2018. He was taken into the station by plainclothes police, interrogated, deprived of his belongings, violently beaten, and then dumped unconscious on his home street late that evening. 8. When Vietnamese HRDs fail to receive protection from Vietnamese authorities, they often turn to foreign nations for support. Vietnamese authorities respond to such outreach with obstruction and violent reprisal. In February 2014, legal expert Nguyen Bac Truyen attempted to visit the Australian Embassy to report on a recent attack against him by local police. En route to the embassy, three men who the defender believed to be plainclothes police stopped and assaulted him. In June 2017, following a meeting between human rights lawyer Le Quoc Quan and US Senator John McCain, plainclothes police officers obstructed the defender in his home and threatened to kill him, his wife, and his daughters if he continued his human rights work. In November 2017, HRDs Nguyen Quang A, Pham Doan Trang, and Bu Thi Minh Hang were arbitrarily detained after meeting with an European Union delegation in Hanoi. In 2018, Vietnamese authorities have adopted new tactics, at times wiring shut the front doors of the homes of HRDs to prevent them from attending public meetings with visiting dignitaries. 9. Article 19 of the ICCPR establishes that all persons enjoy the right to freedom of expression and opinion. Likewise, Article 25 of Vietnam’s Constitution protects freedom of speech for all Vietnamese citizens.4 Instead of protecting these rights, Vietnamese authorities wield an arsenal of de facto censorship laws and regulations to muzzle free speech and undertake criminal persecution of human rights defenders. HRDs engaging in free speech online and in public fora, including bloggers, writers, journalists, and documentary filmmakers, have been subected to judicial proceedings under such charges as “abusing democratic freedoms to infringe upon the interest of the state”, “attempting to overthrow the general administration” and “conducting propaganda against the state”.5 Despite the 2015 revision of Vietnam’s Penal Code (enacted in 2018), which reworded and renumbered both of the above charges, law enforcement continue to cite outdated criminal charges and articles when taking action against human rights defenders. 10. 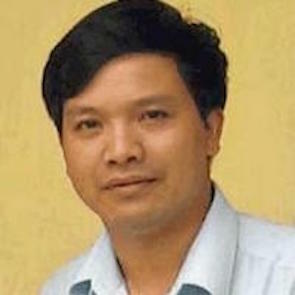 In May 2014, Vietnamese authorities arrested blogger and former police officer Nguyen Huu Vinh and his assistant Nguyen Thi Minh Tuy; they were convicted of “abusing democratic freedoms to infringe upon the State’s interests” in March 2016 for publishing articles supporting human rights and critical of the Vietnamese government. 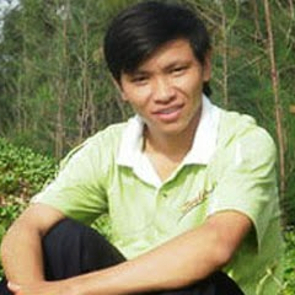 In 2017, a Vietnamese court issued, and later upheld, a 5-year prison sentence for citizen journalist Nguyen Van Oai for violating the terms of his parole, pursuant to a 2013 conviction of “attempting to overthrow the state administration” for his writings and other activism activities. 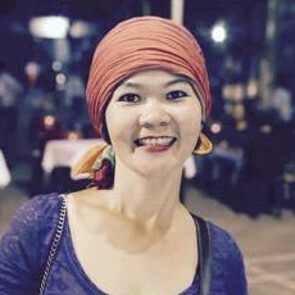 In June 2017, a Khanh Hoa Province court convicted activist blogger Nguyen Ngoc Nhu Quynh, frequently known by her online alias “Me Nam” (Mother Musroom), to ten years’ imprisonment for “defaming the state”. 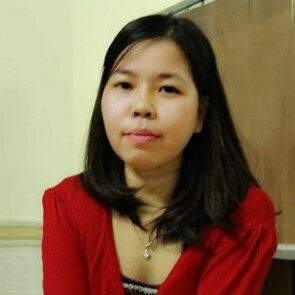 Prior to her arrest, Nguyen Ngoc Nhu Quynh was the coordinator of the Vietnamese Bloggers Network, and used her own blog to report incidents of human rights violations and goverment corruption in Vietnam. 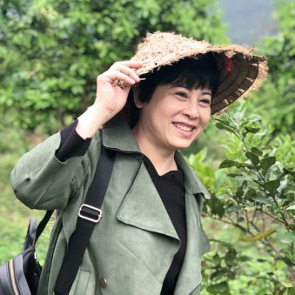 Writer and activist Pham Doan Trang has been subject to ongoing harassment in retaliation against her writing, which includes the textbook Politics for All, a Vietnamese-language primer on democracy, other articles and blog posts on human rights topics. 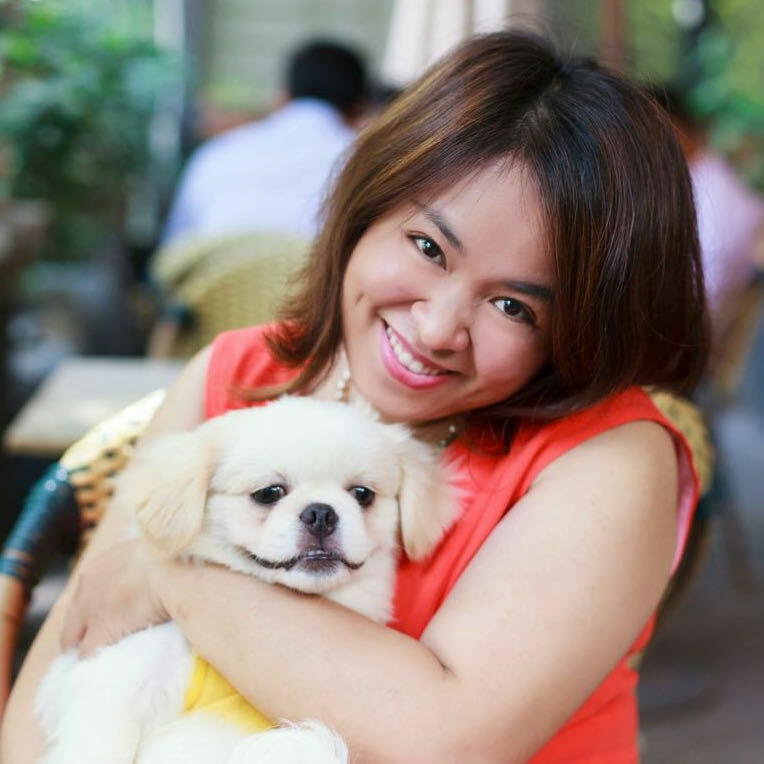 She has been kept under strict control since June 2018, often escorted by police from her home to a local police station each morning and returned each evening. 11. As Vietnam strengthens its technological capacity, threats to the work and safety of HRDs also continue to grow. Vietnamese defenders and human rights organizations are subject to frequent online attacks and hacking attempts on their websites and Facebook pages. In addition to traditional hacking attacks, authorities are suspected to be behind a widespread campaign of reporting “inappropriate content” on the Facebook pages of defenders and their organizations, resulting in Facebook temporarily or permanently blocking access to the page. Such attacks are particularly damaging to the work of defenders in Vietnam, given Facebook’s status as one of the predominant platforms for social communication and information-sharing. require the localized storage of all data used by companies providing online services to Vietnamese citizens. Such provisions will enable a political regime already adept at suppressing HRD voices to rapidly expand their capacities for monitoring HRD communication, stifling their voice, and persecuting their speech. 13. Proper judicial procedure is rarely practiced in law enforcement’s treatment of Vietnamese HRDs. Police frequently take HRDs into custody with no explanation or arrest warrant, and in many cases without wearing an identifying uniform, insignia, or badge. Defenders are forced to comply with these acts of arbitrary detention out of fear of physical assault or due to force of numbers of plainclothes agents carrying out the arrest. 14. Once in custody, HRDs are often denied access to family or legal counsel, and notice is rarely provided to family members or legal counsel of a defender’s whereabouts or legal status. During periods of detention from one to two days, a common phenomenon for Vietnamese defenders, such access is virtually non-existent. When family or colleagues learn of the whereabouts of a detained defenders, they are often required to appeal to police for hours to secure the release of a defender. No compensation is offered for HRDs subject to this treatment. 15. Following indictment, Vietnamese authorities often continue to obstruct communication between HRDs and their legal counsel. Trial dates are frequently rescheduled earlier or later with no warning to family or to defence counsel, leaving defenders with no representation in the courtroom. Trials are frequently very short, and allow defenders little to no chance to defend themselves, whether or not their legal counsel is present. Criminal sentences are frequently very long. In the trials of eight Brotherhood for Democracy members in April 2018, the cumulative sentences amounted to 86 years’ imprisonment and 25 years’ probation. 16. Once convicted and sentenced, HRDs are subject to harsh conditions in prison. Imprisoned defenders report receiving extensive verbal abuse, in particular from fellow inmates believed to be planted or encouraged by prison officers. These inmates regularly harass and threaten defenders, and requests to transfer cells are ignored. 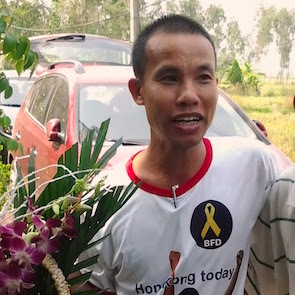 During his appeal hearing, labour rights defender Hoang Duc Binh revealed that he had been housed with death row inmates, who had attacked him on multiple occasions. 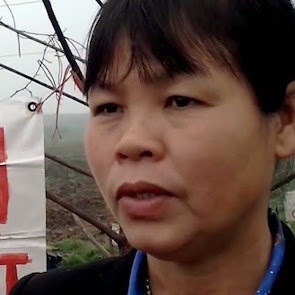 During the incarceration of land rights activist Can Thi Theu, guards terrorized the defender by informing her that her cellmates were both HIV-positive and implying that she was at risk of contracting the virus. To exacerbate defenders’ sense of isolation in detention, convicted HRDs are occasionally relocated to remote prisons distant from their family. 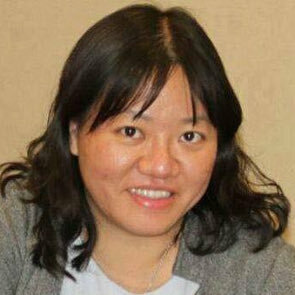 Nguyen Ngoc Nhu Quynh is currently incarcerated in Than Hoa Province, over 900 kilometres distant from her family’s home. 17. Vietnamese human rights lawyers are regularly obstructed from the ordinary and lawful conduct of their official business, refused access to their clients, given limited opportunity to present their case in court, and denied access to materials on their laptops and cell phones during trials. 18. Vietnamese authorities frequently use travel bans to block HRDs from travelling abroad, whether for participation in human rights meetings or simply for travel. 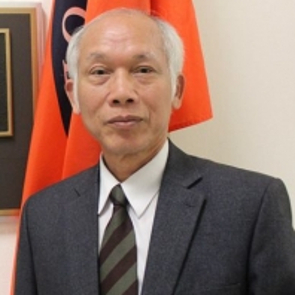 These bans are sometimes communicated officially to HRDs, but in other cases, defenders only learn that they have been subject to a ban upon reaching the airport in anticipation of their travel, as in the case of labour rights defender Do Thi Minh Hanh. When she attempted to pay a visit to family in Germany in May 2018, border police cited “national security” as the reason she could not travel. 19. While refusing to let many defenders leave the country, the Vietnamese government also refuses to let certain HRDs return. 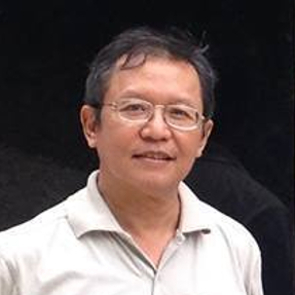 Professor and human rights blogger Pham Minh Hoang, was convicted of “attempting to overthrow the people’s administration” in 2011. In June 2017, the defender was stripped of his Vietnamese citizenship and deported to France. The government denied his requests to return to Vietnam to care for family members in need. In June 2018, Brotherhood for Democracy members Nguyen Van Dai and Le Thu Ha were exiled to Germany, following their April conviction of the same charge. 20. HRDs are regularly subject to attacks on their homes and the homes of their friends and family by gangs of strangers, who frquently wear masks to hide their features. These individuals are commonly suspected to act in the service of law enforcement, and in some cases defenders have been able to confirm this connection. 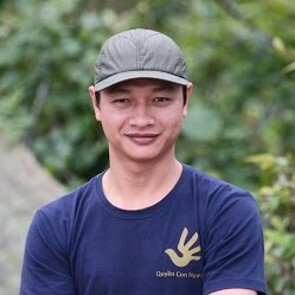 In January 2016, unknown individuals attacked the family home of Tran Minh Nhat, throwing stones and poisoning plants, later carrying out similar attacks upon other properties of the defender and his family members. Le My Hanh, a citizen journalist who reported on the Formosa disater, was assaulted with two friends in May 2017 when a group of five individuals forcefully entered their apartment, sprayed the defender and her friends with pepper spray, and beat the defender until she fell unconscious. When she reported the incident, local police discouraged her from pursuing charges. 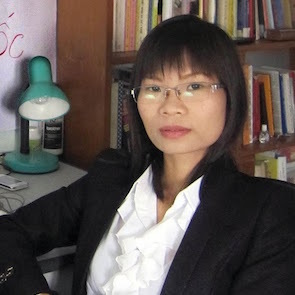 In June 2018, labour rights defender Do Thi Minh Hanh was subject to weeks of terrorizing attacks by unidentified individuals. For multiple nights, masked strangers pelted the defender’s father’s house with rocks, detritus, and one suspected incendiary device. Local police failed to respond to repeated calls for assistance. 21. Vietnamese HRDs are also victim to frequent attacks outside the home. Front Line Defenders has responded to cases of individuals beaten in the street and knocked off of motorcycles—as in the July 2016 attack on journalist and human rights campaigner To Oanh and his wife. Attackers have assaulted HRDs with fists, clubs, and metal bars, often breaking bones and drawing blood. 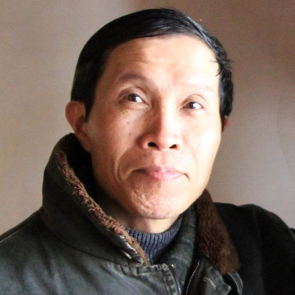 After dropping his son off at school, environmental and and civil rights advocate Nguyen Chi Tuyen was stopped in his vehicle, beaten unconscious with metal bars, and left on the road; Nguyen Chi Tuyen was later given six stitches for his injuries. Police are frequently alleged to participate in these attacks in plainclothes, and rarely undertake any investigation into these violent attacks. Revise the Cybersecurity Law to remove regulations that violate the right to freedom of expression, enforce the protection of freedom of expression and release all individuals arrested and detained on related charges. Put an immediate end to all arbitrary detention. Release all HRDs currently detained under these conditions or begin formal, legal charges against them and provide them full access to legal counsel and appeal. Cooperate fully with the UN Special Procedures, including the UN Special Rapporteur on the situation of human rights defenders, by responding to their urgent appeals and letter of allegations and accepting the mandate holders' outstanding requests to visit the country. 3 In April 2016, industrial waste released by a Formosa Plastics Group steel plant in Ha Tinh Province caused the death of millions of fish in the adjacent coastal regions, creating severe economic hardship for local fishermen and others in the region. Reports also suggest that the pollutants have caused severe, and in some cases fatal, health effects for those that lived and worked in the afflicted areas. Beneficiaries of a USD $500 million reparation deal have stated that this amount failed to sufficiently compensate material and non-material losses. Protests on this issue, and coverage and advocacy thereupon by human rights defenders, have been strictly repressed by Vietnamese authorities.